Nutryervas Brazil, aware of its commitment to society, not only limits to the manufacturing of products that provide a healthy lifestyle. Therefore it develops and supports social and cultural projects that improve the health and well-being of all involved. Aiming to recover and re-socialize the inmates from the Civil Police Station of Mandaguari city, Nutryervas started a project in association with churches, companies, shops and clubs from the region, which resulted in the construction of an ecumenical chapel on the premises of the police station of Mandaguari. The inmates contributed with all the labor required for the construction of the chapel, and today, they attend church services, which are conducted every day. Other projects were developed from this in order to offer inmates the opportunity to learn a profession. Therefore, utilitarian and artistic pieces are being madefrom recycled material such as plastic bottles. Besides these projects, Nutryervas also invests in recovering addicts, being one of the founders of the Area Hope House of Recovery (CREE), a nongovernmental organization (NGO) which has as objective to offer totally free treatment to addicts. The structure of the entity is still in progress, but it already has the support of various institutions and society authorities of Mandaguari city. Nutryervas also supports projects related to culture, because it believes that any kind of artistic expression is essential for a healthy mind. Some exhibitions have already been done, as the project “Sense of Nature,” which featured two-dimensional aluminum sculptures by the artist Marcio Aveiro. With edition in two cities from Paraná state, Cascavel and Maringá, the exhibition happened from September to December 2008. 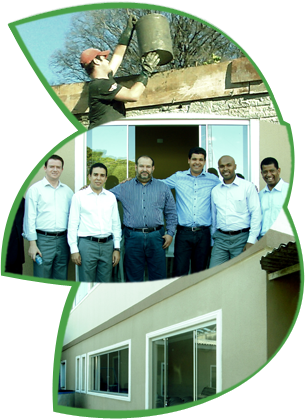 We also offer at our headquarters, personalized service to our team of collaborators. We entered into a partnership with the Nutritionist Dr. Ricardo Vargas, lecturer, television presenter and sports coach who, once a month, gives a lecture to our staff and offers personalized attention to each participation to 3 employees. Thus, we offer our company a new lifestyle with professional monitoring. Through these initiatives, Nutryervas has been fulfilling its social role, working efficiently and effectively in society.